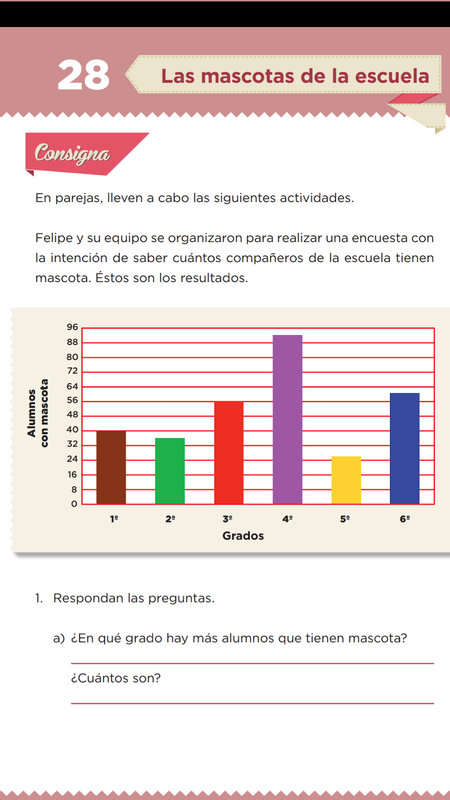 Con la intención de aprender a realizar gráficas con base en la información de una encuesta vamos a resolver las actividades de las páginas 64 y 65 del libro de matemáticas. Math/ Learning about lunar and solar years and their relationship with "renewal"
Write 3 question about each type of theater. Illustrate. 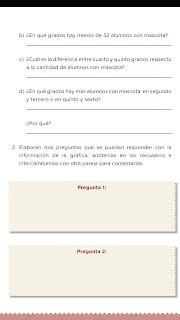 Research the different types of "calendar that exist"
Prepare 5 questions to ask other people from other countries. Read for 10 minutes write a question about what you read. Project “Ancestral cultures, myths, legends and miscegenation for peace”. To what culture do they belong? What symbols do they use? What foods are related or integrated to these celebrations? What elements are represented in these celebrations? The origin, of the "Cookies"
Where are they from? How do you eat them? What places are traditional? In which celebrations are used to. the origin of each of the ingredients. Drops of water when you want to make the consistency more fluid. Research About the production of these products today. Research which cultures make cookies for their celebrations and what ingredients they contain. Research the import and export of these products (ingredients). Research the main ingredients of "cookies" in different cultures. The process identifies the industrial and home process of the "cookies"
Where are the cookies from? What cereal is made? Elaborate the history of cookies in different cultures. Write a sentence week 11, 11 to 15. Language art/ Generate stories with academic content integrating learning and emotions. SCIENCE/ That the students understand and identify the symbols that accompany the local cultural celebrations as a result of the mixture of cultures That the students learn about the symbols and meanings of the celebrations of their own culture and about other cultures, making comparisons between them. Language art/ Publish and produce (Stories - videos, essays on blogs, publications on networks). Make a comparative table with the information you got in your notebook. Compare information with your classmates. Make an "Article or essay" to publish with the information you got from each of the celebrations. Investigate holiday and religious holidays in other countries and that elements of other cultures are similar to ours and how they celebrate these dates in other countries. Make 5 statements comparing what you researched. Kiva, positive school environment, safe learning environment. Recognize a positive school environment, recognize a safe learning environment. Teacher will ask ss to remember positive environment at school, describing one. 1. Identify the positive things that your school has, write them in your notebook, remember to include environment during playtime, lunch, classroom, extra classes. Teacher will write on board a commutative property operation, and a distributive property operation, ss, will identify what they are. 1. Answer exercises 1 to 3. Read for 10 minutes write a sentence about what you read.